The UniFi AC Mesh AP features the latest Wi-Fi 802.11ac, 3x3 MIMO technology in a refined industrial design and is ideal for deployment of maximum‑performance wireless networks. 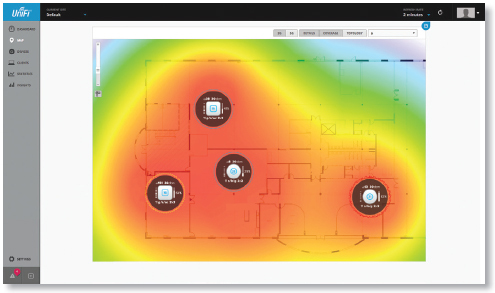 Deploy the UniFi AC Mesh AP indoors or outdoors, in wireless networks requiring maximum performance. Sporting a weatherproof design, the UniFi AC Mesh AP features simultaneous, dual-band, 3x3 MIMO technology and convenient 802.3af PoE/802.3at PoE+ compatibility. It is available in single- and five-packs*. 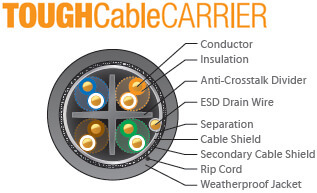 802.11ac or Gigabit Wi-Fi is the newest Wi-Fi protocol for the 802.11 wireless networking standard. It can deliver more than three times the data transfer speeds of the current 802.11n protocol in addition to improved network robustness, reliability and RF bandwidth utilization efficiency for demanding applications such as HD video, video conferencing, streaming media, VOIP and more. 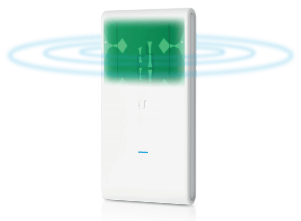 Ubiquiti’s UniFi software offers unique and innovative “Zero Hand-Off Roaming” technology that enables mobile users to roam anywhere and seamlessly maintain their connection as they switch to the nearest AP. UniFi builds on previous UniFi releases, which offer comprehensive hotspot management and a flexibly deployed software controller. The controller can run on-premises, in a private cloud or public cloud. The UniFi AC Mesh AP provides simultaneous, dual-band, 2x2 MIMO technology and is available in single- and five-packs*. Multiple Power Options The UniFi AC Mesh AP is compatible with 802.3af PoE Alternative A and 24V passive PoE. You can power it with an 802.3af Alternative A compatible switch, EdgePoint™ EP-R6, UniFi PoE Switch, or the included Gigabit PoE adapter*. The UniFi AC Mesh Pro AP provides simultaneous, dual-band, 3x3 MIMO technology and is available in single- and five-packs*. Weather-Resistant Form Factor The enclosure of the UniFi AC Mesh Pro AP is designed to withstand the elements, making it ideal for outdoor deployment. Powerful Coverage Built-in dual-band omnidirectional antennas deliver expanded range coverage outdoors. Dual Gigabit Ethernet Ports The primary port is for data and PoE; the secondary port is for bridging. Multiple Power Options You can power the UniFi AC Mesh Pro AP with an 802.3af compatible switch, UniFi PoE Switch, or the included Gigabit PoE adapter*. 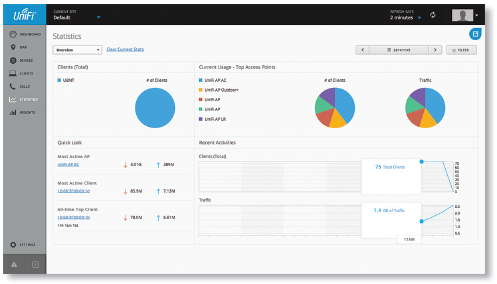 Below are some examples of how UniFi APs can be deployed. * Only the single-pack of the UAP-AC-M includes a PoE adapter. 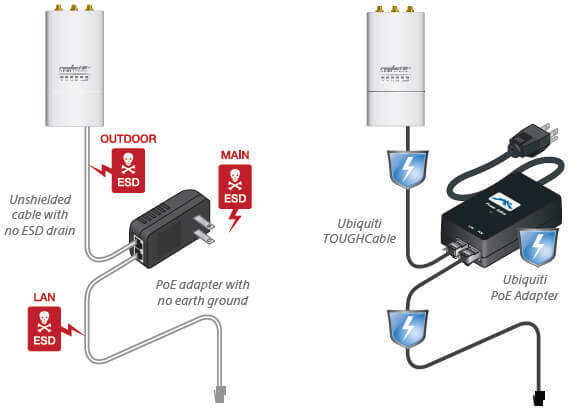 * Only the single-pack of the UAP-AC-M-PRO includes a PoE adapter. 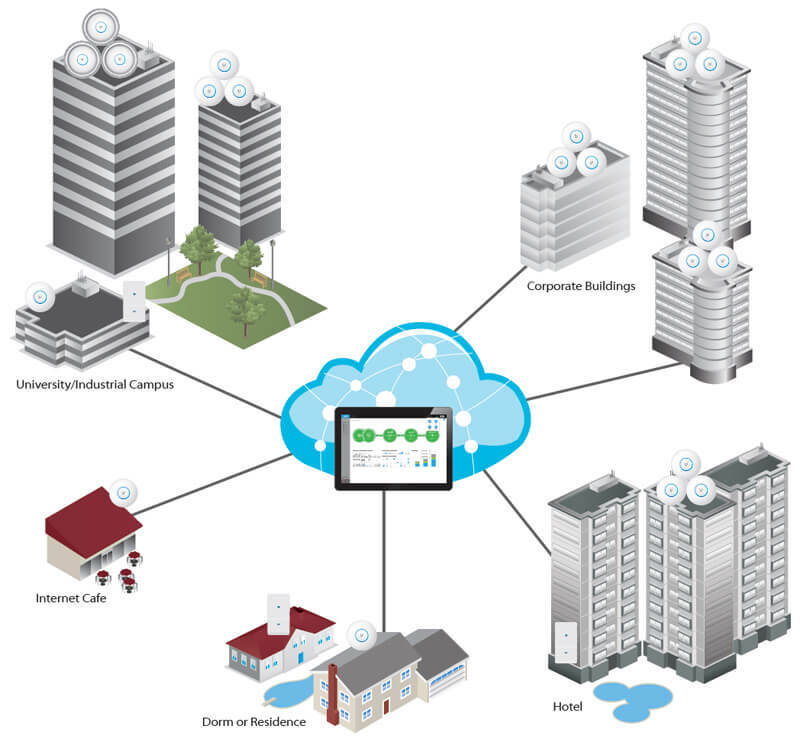 Mesh Multi-Hop A large outdoor area, such as a park with minimal infrastructure, can take advantage of a mesh network comprised of the UniFi AC Mesh models. 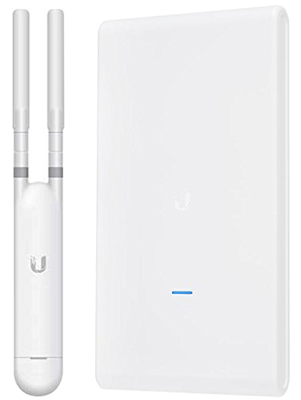 Omnidirectional Coverage, Indoors/Outdoors The UniFi AC Mesh AP includes adjustable dual-band omni antennas, and you have the option to use any 5 GHz omni antenna for spot-beam coverage in high-density locations with numerous APs and clients, like a conference hall. 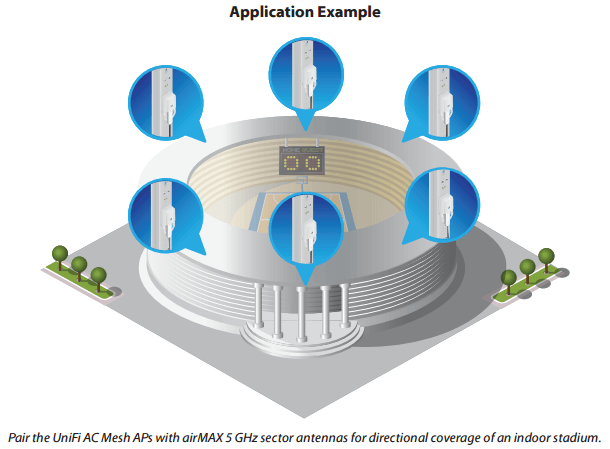 Directional Coverage, Outdoors The UniFi AC Mesh AP is versatile; you can use any 5 GHz sector antenna (wide beam in the azimuth plane and narrow in the elevation plane) for broad outdoor coverage. Maximum Coverage, Outdoors The UniFi AC Mesh Pro AP is ideal for applications requiring 3x3 MIMO data rates for close-in omni coverage. 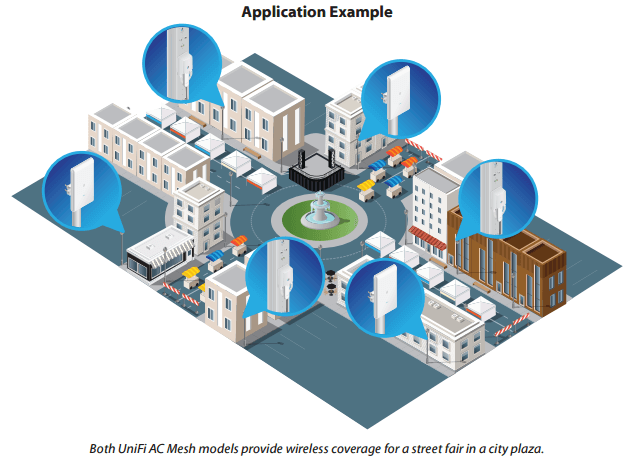 Temporary Installations Deploy the UniFi AC Mesh models for outdoor installations requiring quick setup and takedown, such as a music festival or concert venue. 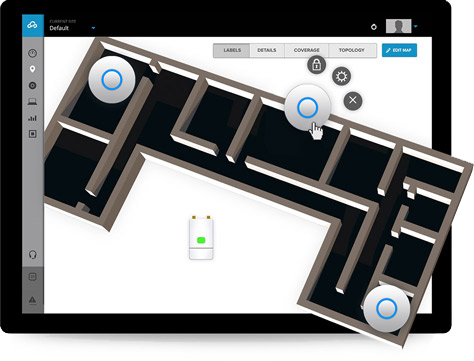 The UniFi Controller can be accessed through any device using a web browser. A single UniFi Controller running in the cloud can manage multiple sites: multiple, distributed deployments and multi-tenancy for managed service providers. Wireless Uplink functionality enables wireless onnectivity between APs for extended range. One wired UniFi AP uplink supports up to four wireless downlinks on a single operating band, allowing wireless adoption of devices in their default state and real-time changes to network topology. Upload custom maps or use Google Maps for a visual representation of your wireless network. 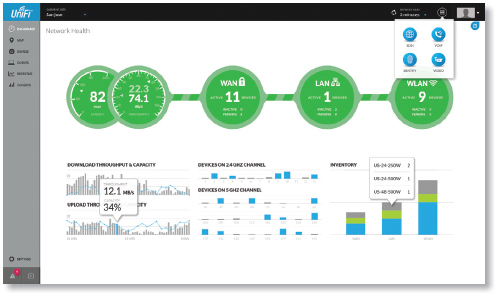 UniFi provides a visual representation of your network's status and delivers basic information about each network segment. 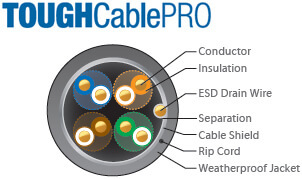 Specifically designed for use with Ubiquiti TOUGHCables and available in 100-pc. 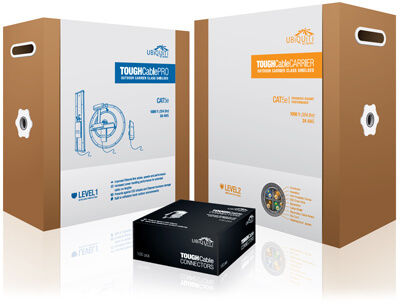 bags, TOUGHCable Connectors protect against ESD attacks and Ethernet hardware damage while allowing rapid fi eld deployment without soldering. 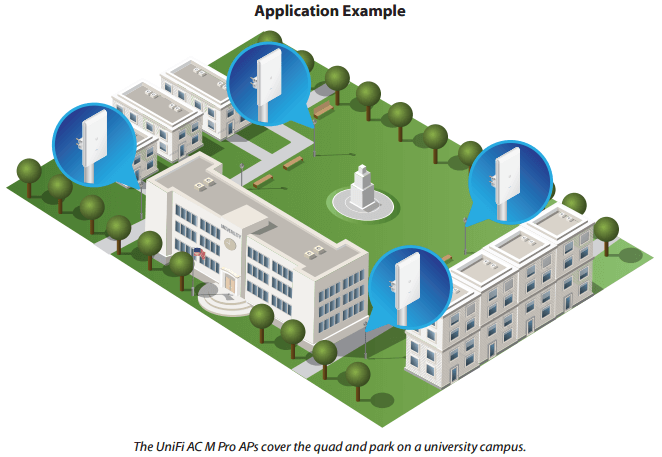 Download the Ubiquiti UniFi Access Point AC Mesh Series Datasheet (PDF).